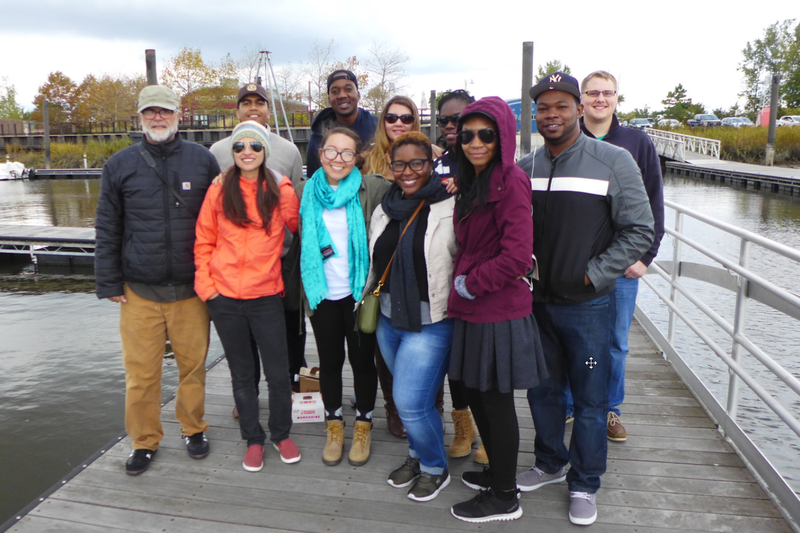 The NJ (Rutgers-Newark) student chapter of the Association of Environmental and Engineering Geologists (AEG) visited River Barge Park Marina and toured the estuaries of the Hackensack River with Francisco Artigas Director of of MERI.. The goal of the chapter is to provide an opportunity for students affiliated with environmental and engineering geology programs to meet with professionals. We promote activism and awareness for issues such as climate change and sustainability with the goal of motivating students of their responsibilities as environmental stewards.We also provide public understanding of the geologic and hydrologic environment and how to correct environmental mistakes.